All New! Northern Territory Gallery...Check it out here! 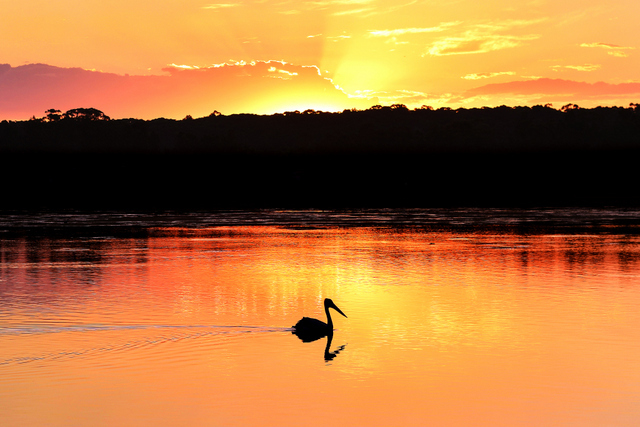 I recently returned from my first trip to the Northern Territory and I loved it. I just wish I had more time to capture the unique landscapes up here in different light. I visited Alice Springs, Tennant Creek, The Devils Marbles, Whycliffe Well, Standley Chasm, Simpsons Gap, Kings Canyon, Mount Conner, Uluru (Ayres Rock) and Kata Tjuta (The Olgas). I covered off all the big hikes and had dinner under the stars at Uluru. It was a great experience. 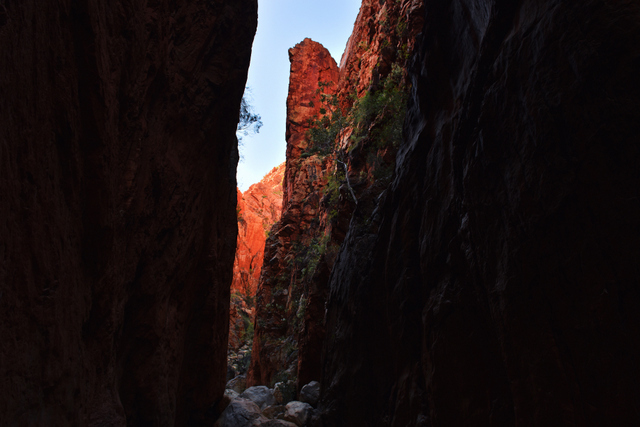 I have just created a gallery for my photos of the Northern Territory and if you click on the photo of Standley Chasm to the right it will take you to it. I have not uploaded any photos of Kata Tjuta National Park as I am waiting for approval to use those photos. I will put up a post in the news when I have my Uluru and Kata Tjuta photos online. 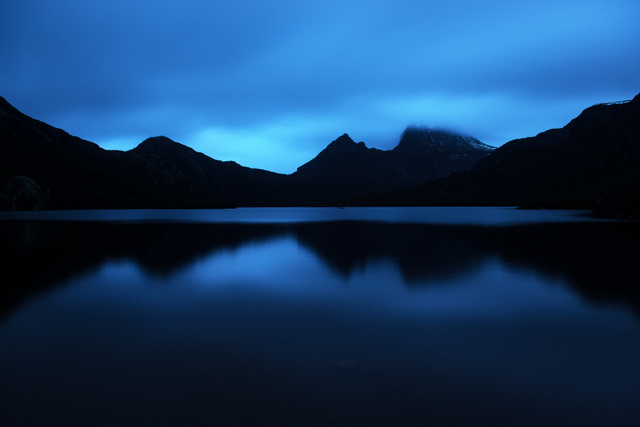 Hundreds of New Landscape Photos of Tasmania Coming! I have just returned from a 2 week trip to Tasmania, it's my fifth trip to this beautiful state but the first in 4 years. It was a pleasure capture some new shots around the state. I took 5000 photos and travelled 5000 klms covering off a lot of Tassie but still a lot to see. This small state is jam packed with natural beauty. I will have the photos uploaded to this site soon and when they are ready you check them out by clicking on the photo to the right. New and Updated Sapphire Coast Gallery! Click on the photo to the right and check all the latest photos from the Sapphire Coast region on the Far South Coast of New South Wales with new photos of Bermagui, Merimbula, Pambula, Tathra and more. Recently I have travelled to the Australian Outback to capture landscape photographs around Bourke, Gundabooka National Park, Brewarinna, Lightning Ridge, Grawin and Walgett. I absolutely loved the experience, the landscape and the people and plan to do it all again soon. 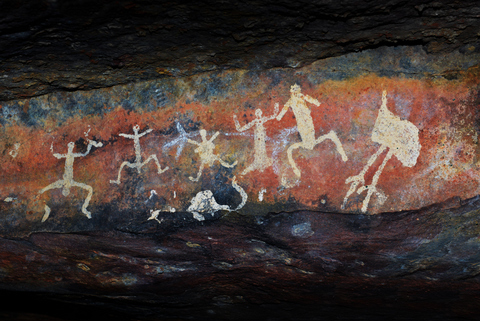 Click on the photo to the right to visit the new Outback New South Wales gallery. I have just updated the South Coast photo galleries with new photos of the Shoalhaven, Eurobodalla and Sapphire Coast areas. Check out the new photos in the Eurobodalla and Sapphire Coast galleries from the recent east coast low that caused wild weather and huge surf along the New South Wales coastline. The surf was whipped up and the water looked like a pool of thick cream. 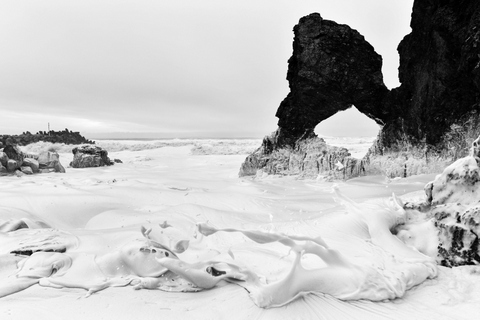 The beaches looked as if they were covered in marsh mellows and this made for some interesting photographs. Click on the photo to the right to visit the 3 South Coast galleries. Out the Back O Bourke! I spent 3 days out in the outback of New South Wales and was very grateful for the experience, I only wish I had a lot more time to explore this amazing part of the state. It was my first outback trip and the first time I saw ancient Aboriginal paintings as you can see to the right, packs of Emus and big red kangaroos. I visited Lightning Ridge, Grawin, Walgett, Coonamble, Brewarinna and Bourke. Click on the photo to the right to visit the all new Outback New South Wales gallery with more photos to come soon. Fitzroy Falls Visitor Centre Display! 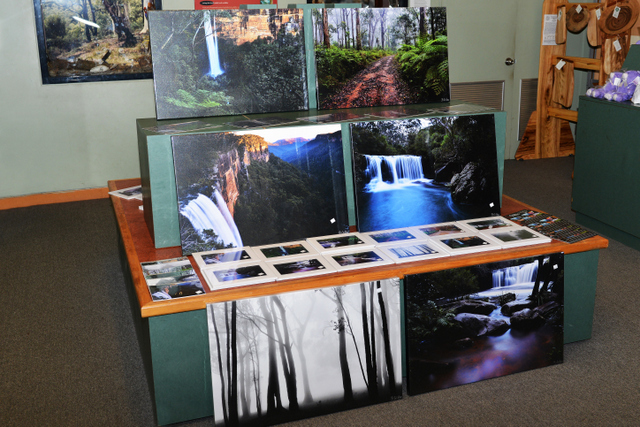 I have just installed this display at the Fitzroy Falls visitor centre in the Southern Highlands, I have 6 20x30 Inch canvases on display, along with matted prints, prints, coasters and puzzles. All the photos are from the surrounding Southern Highlands area including photos of all the major waterfalls of the region. Click on the photo to the right for information on finding Fitzroy Falls which is also one of the largest and most visited waterfalls in New South Wales. Updated Country New South Wales Gallery! 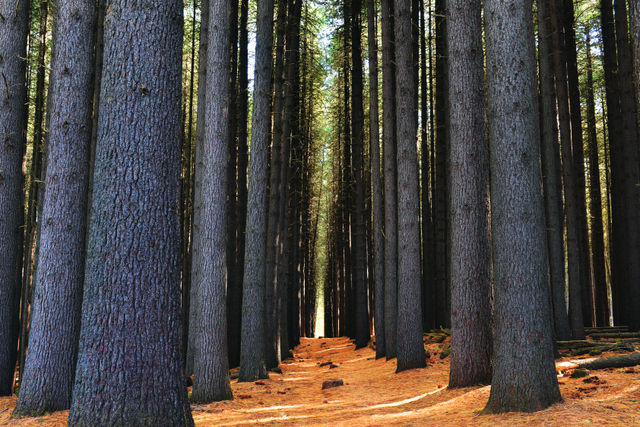 I have recently spent some time out in the amazing New South Wales countryside, this time in the Batlow, Tumet and Laurel Hill areas of the state. I have updated my Country New South Wales gallery and if you click on the photo to the right you can check out some of the new shots. I plan to head back to this area very soon. Have a great week! I have just updated my Victorian landscape photography gallery. It's a been a long time coming and not updated since 2011. 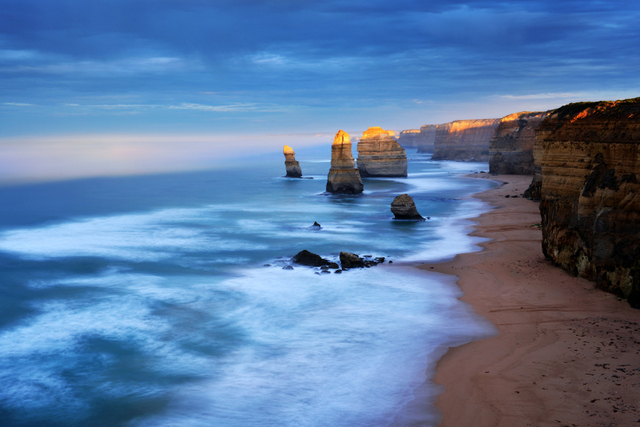 I have just added a new range of photos from across the state including: The Great Ocean Road, Melbourne, The Victorian Snowy Mountains, Gippsland and Country Victoria. So far I have added 72 photos so please click on the photo to the right to check out the entire gallery. 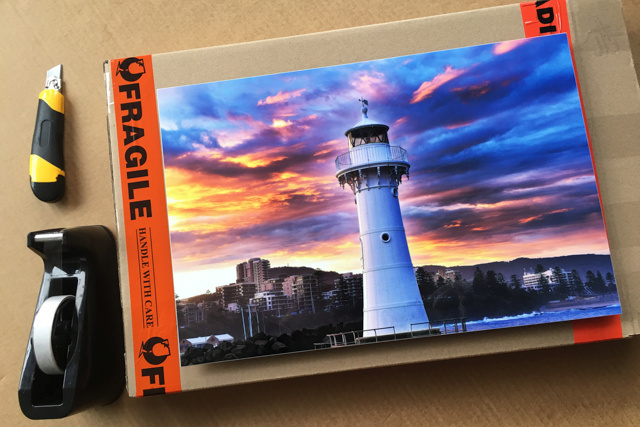 WIN a 12x18 INCH Metal Print! 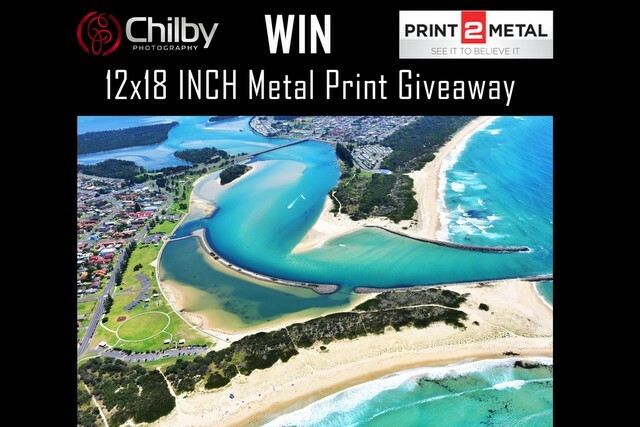 Chilby Photography and Print2Metal are running a competition to WIN a 12x18 Inch Metal Print with the photo of your choice from www.chilby.com.au . All you have to do is visit Chilby Photography on Facebook or Instagram and comment: ENTER on the post. Comment on both Facebook and Instagram to get a second entry. Be sure to like both Chilby Photography and Print to Metal on Facebook. To do that click on both of these links: Chilby Photography and Print2Metal. Click on the photo to the right which will take you directly to the Competition on Facebook. Chilby Photos for sale at Uluwatu Blue, Stanwell Park. 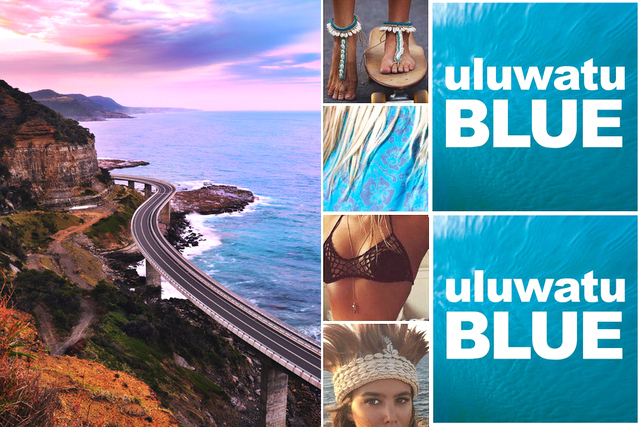 Uluwatu Blue is a new business that has opened in the beautiful seaside village of Stanwell Park. The shop sells women's coastal inspired crocheted clothing, coastal themed oddments for the home and they are now selling Chilby Photography Canvases in 16x24 Inch, Stanwell Park t-shirts, Stanwell Park post cards and Stanwell Park keyings along with the 2016 Illawarra Calendar. If you are in Stanwell Park please pop in and have a look, whilst you are there they also serve gelato and Mexican food. Woonona Real Estate agent Decked Out with Chilby Photos! 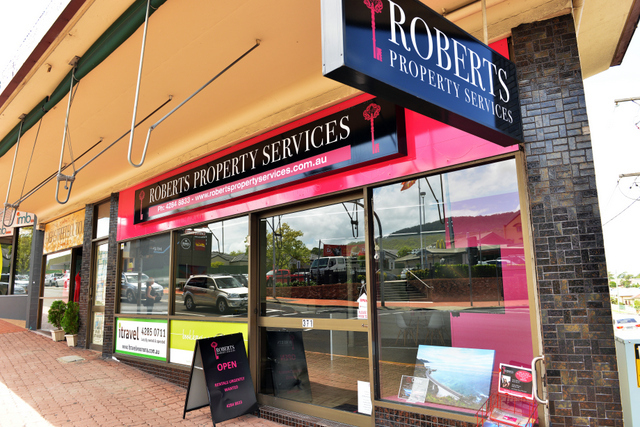 Roberts Property Services is a new Wollongong business run by the Roberts family of Woonona. It is found on the corner of the Princess Highway and Russell Street across the road from McDonald's Woonona. This has recently changed over from the historic Woonona newsagency that has been located here for over 100 years. I have a number of local photos on canvas for sale within the store including large 24x36 Inch photos, 20x30 Inch and 16x24 Inch. If you are in town please pop in and say hello and check out the photos. For more information about Roberts Property Services please click on the photo to the right. All new Illawarra Aerial Photos! 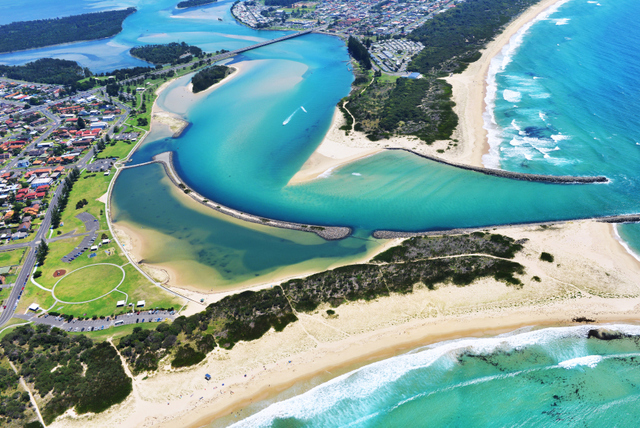 I have updated my aerial photography gallery with many more Illawarra aerial shots. The photo to the right was recently posted on Facebook and went viral with over 100,000 views. To see more aerial shots just click on the photo to the right. I am also available to hire if you require commercial aerial photographs, to hire Brad Chilby as your aerial photography email: brad@chilby.com.au or call: 0425 308 433. 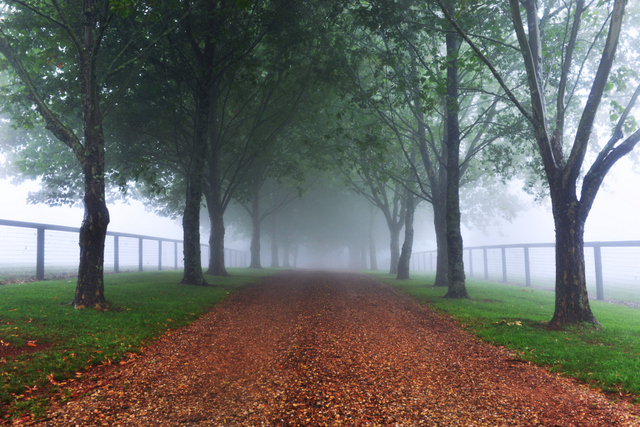 New photos from the Southern Highlands of NSW. I have spent quite a considerable amount of time of late photographing the beautiful Southern Highlands region of New South Wales. I have added many new photos to the Southern Highlands gallery of the amazing waterfalls that the region has to offer, along with many photos of the beautiful foliage and farmland that is so abundant in the area. To check out the new photos, just click on the photo to the right which will take you straight to the gallery. 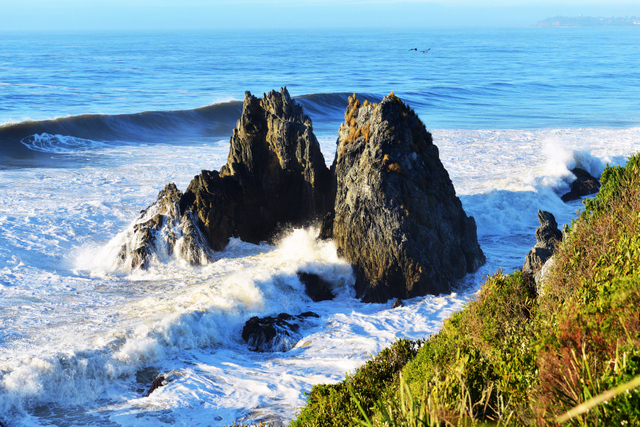 New photos from the South Coast! I have made 3 trips to the Shoalhaven region over the summer and have added new photos of Jervis Bay, Ulladulla, Burrill Lake, Calalla Bay and Tianjara Falls to the Shoalhaven gallery. It's a beautiful region and not to far for me to visit regularly. Please click on the photo to the right to check out the gallery. Come and have a look behind the scenes of Chilby Photography. I absolutely love landscape photography and the amazing adventures that it takes me on. I do my best to bring you photos that are a bit different and from places that are unknown, many right here in the Illawarra that few people have been too. 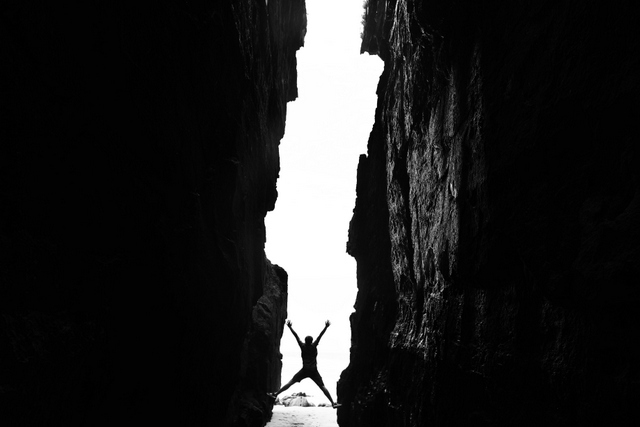 I enjoy the challenge of getting to theses places from climbing down waterfalls to abseiling off cliffs. If you click on the photo to the right it will take you to the behind the scenes gallery. Wedding Photography by Chilby Photography. 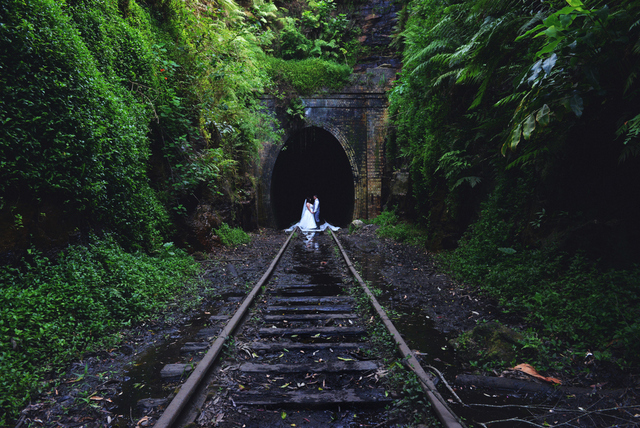 Most people don't know that I also do Wedding Photography. Click on the photo to the right to view some of my recent Wedding shoots. Where possible I try to incorporate my landscape photography style into the shot for something a little different to your normal wedding photographer. New photos of the Wollondilly Shire and Southern Highlands areas. Recently I have added some new photos of the Wollondilly Shire and Southern Highlands areas to the Southern Highlands Gallery. 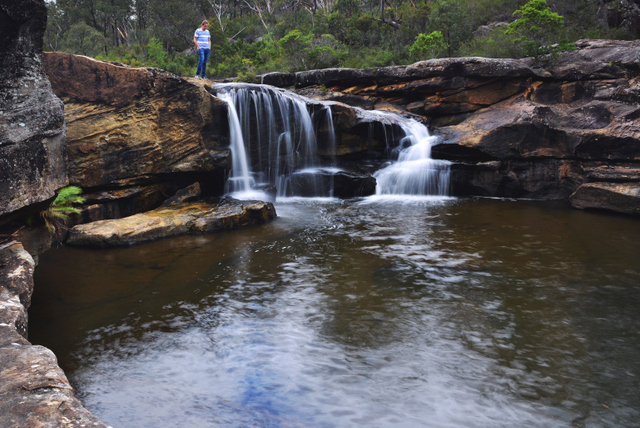 Some of the new photos were taken at a beautiful waterhole near Tahmoor called Mermaid Falls on the Bargo river. 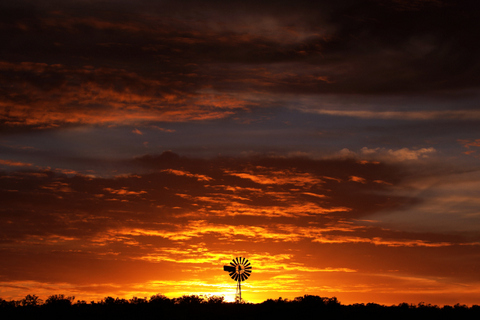 Weather photo in the Daily Telegraph. 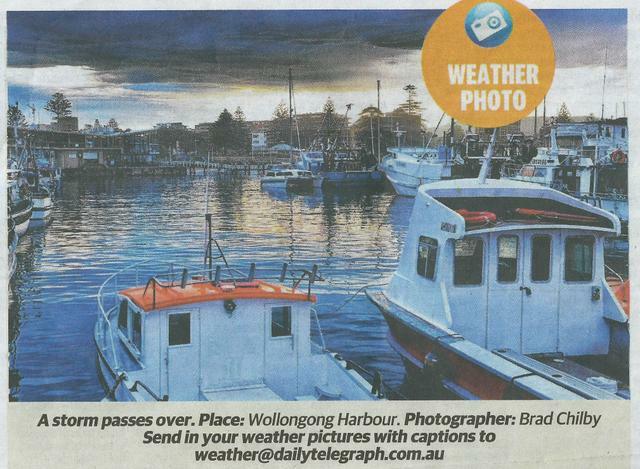 This photograph of a storm over Wollongong Harbour was featured in the Daily Telegraph on the 21st December. Click on the photo to the right to see more photos that made it to the papers.